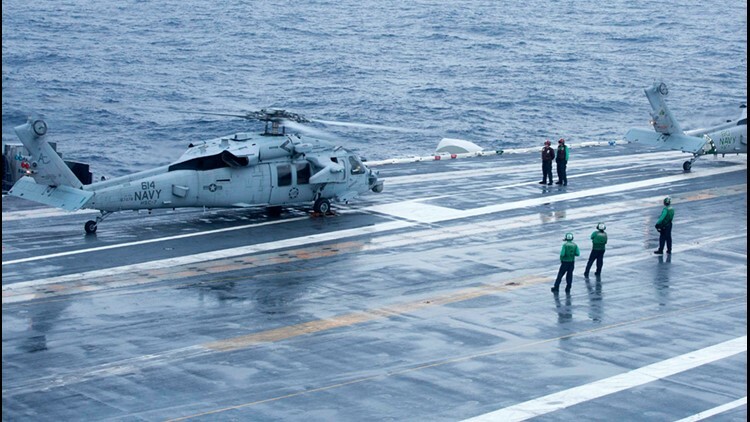 MH-60 Sea Hawk helicopters of HSC-7 — part of Carrier Strike Group 12 — were recalled Saturday to Norfolk and will be on standby if needed in post-Florence recovery efforts, according to the Navy Office of Information. NORFOLK, Va. (WVEC) — Navy helicopters from aircraft carrier USS Abraham Lincoln are returning to Naval Station Norfolk where they will be better positioned to provide Hurricane Florence recovery efforts. 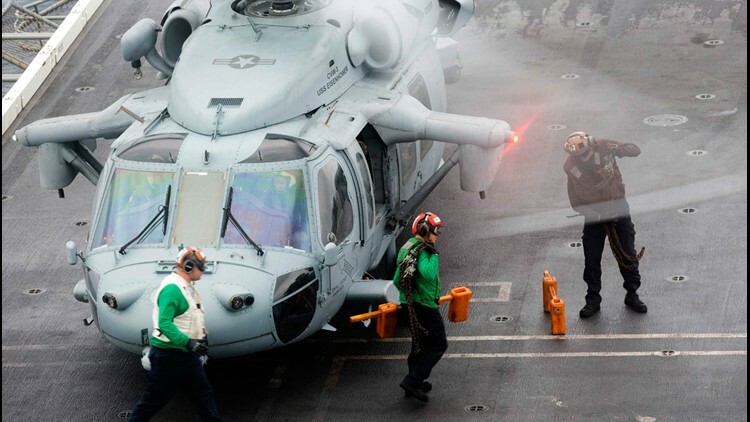 MH-60 Sea Hawk helicopters of HSC-7 &mdash; part of Carrier Strike Group 12 &mdash; were recalled Saturday to Norfolk and will be on standby if needed in post-Florence recovery efforts, according to the Navy Office of Information. All Navy ships and aircraft in the Hampton Roads area were ordered to sortie Monday ahead of Hurricane Florence. Those ships and aircraft are scheduled to return Saturday and Sunday.